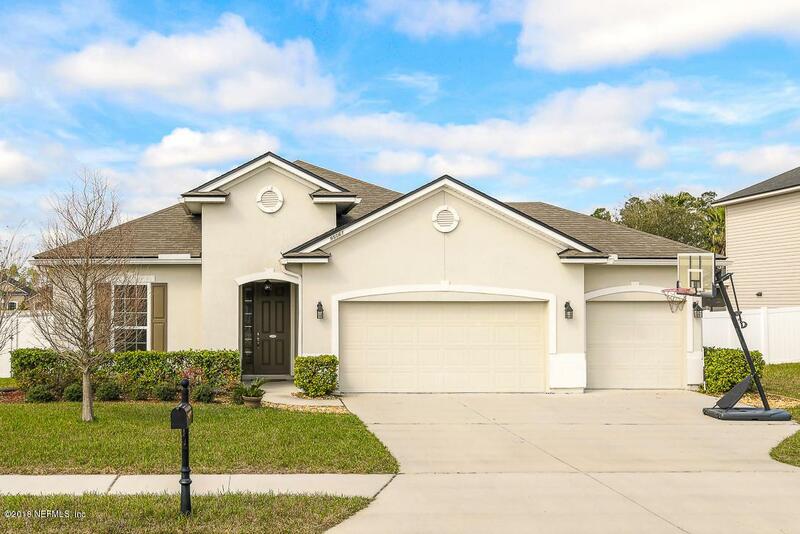 Seller to pay up to 3.5% of purchase price towards Closing Costs w/ acceptable offer on this meticulously maintained 4 bedroom 3 bath home in the well sought out Community of Amelia Concourse. This home is located on a quiet street leading into a cul de sac. Enjoy your morning cup of coffee on the oversized screened in back patio. Yard is completely fenced with side gate and irrigation meter to lower those monthly water bills. All the windows have been tinted to reduce heat in the summer and UV rays discoloring furniture. You'll love to cook in this upgraded gourmet kitchen with large island, double ovens, and new backsplash. Home has water softener and whole-home water filtration system. Three car garage offers that extra room for all your yard tools and toys.